The following is a transcript of the interview and a copy of the written introduction, as first published on RadioLive. Professor the Baroness Ilora Finlay of Llandaff will be visiting New Zealand from Monday, 26 June through to Friday, 30 June. The Welsh professor of palliative medicine and cross-bench member of the House of Lords was last in New Zealand in 2012, when she debated Maryan Street on the merits of her End of Life Choices Bill. Baroness Finlay is eager to take part in discussions around David Seymour’s similar End of Life Choice Bill. 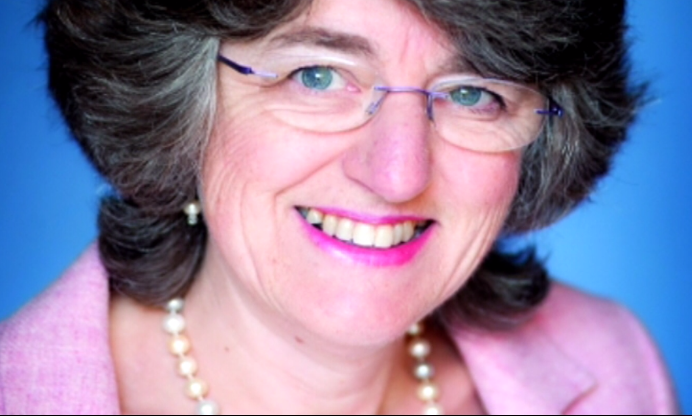 The Baroness is opposed to the introduction of assisted dying. Baroness Finlay served on the House of Lords Select Committee on Assisted Dying for the Terminally Ill Bill in 2005. This Committee conducted an extensive examination of the subject of assisted dying, culminating in a three-volume report to the UK Parliament. Finlay is currently the co-Chairman of Living and Dying Well, a think tank to examine the evidence around euthanasia and assisted suicide. She has served as an expert witness on the topic for parliaments and courts the world over, as well as commenting in international media, including The New York Times, The Economist, and Australia’s ABC. The Baroness will be making presentations in Wellington and Auckland, including a public panel discussion in Parliament on Wednesday, 28 June, and a public conversation at the Horse and Trap in Auckland on Thursday, 29 June. She talked with Mark Sainsbury this morning on RadioLiVE’s Morning Talk. MS: My next guest is out here, actually she was out here before. She was last here in 2012 for a debate with Maryan Street on the End of Life Choices Bill. She is a professor, the Baroness Ilora Finlay. And she is in the House of Lords, she’s a cross-bench member. But, interesting, she is Welsh and a professor of palliative medicine. And the Baroness is very much opposed to the introduction of assisted dying. Of course, this is coming up again, isn’t it with David Seymour’s private members’ bill. So it’s an opportunity to get another perspective on this. It’s a debate we’ve been having for some time and she joins us now. MS: Is the debate still alive and well in the UK? IF: Oh, I think the debate is alive and well everywhere. In fact, dying is something that people talk about and we all need to talk about it cause it’s going to happen to all of us. MS: And, of course, what we saw we had a very high profile case here, Lecretia Seales. You will probably be familiar with that case. IF: I am not telling people what they can or cannot do. I think it’s really important to realise that we now are less familiar with dying and dying naturally than perhaps we used to be. But actually we’re very good at managing death and if you’re going to change the law to license doctors to give lethal drugs to patients, you have to be sure that it will be better and safer than what you’ve got in place. And looking at the international evidence that’s just not the case, and you have to also remember that New Zealand has got excellent palliative care services, and they are there to try to do everything to ensure that people do have a peaceful, dignified death when they die at the end of their disease, not cut their life off by months or years. MS: But if that is true, and that can provide that, then there would not be the demand for it, would there? People wouldn’t be saying, “I want the right to, you know, for my life to be ended when it suits me.” Because if they were getting it, if the palliative care lived up to all of that, no one would ever take that choice, surely? IF: No, of course, people will always be frightened. When people get a diagnosis of an illness which is going to be their last, of which they will die, their reaction is to be terrified very often. It’s often the first time they’ve really taken on board that we’re all going to die and they’re frightened of what lies ahead. If all the messages they get are that it’s awful, that it’s frightening. If, perhaps they had a bad experience 30 years ago, long before palliative care was in place, but that memory is very strong and it fuels their fears so of course it’s understandable. But what you have to make sure is that you’ve got the services there that can respond to people in their hour of need, but you don’t have to end their lives to relieve their distress. MS: Can all pain be managed? IF: Pain is a very complex phenomenon and pain is made up of physical elements but they’re made much worse by emotional elements: by fear, by depression, by social pressures, and by those difficult questions of “Why me?”, “Why’s this happened to me?” and all the turmoil that goes on. So dealing with the physical pain is just one part of dealing with people’s pain. And it’s a total anguish and people need to be listened to. You need to go through and take time. Go through with what the causes are of each of the elements of their pain and deal with them. And the problem is, if you have a knee-jerk response and you say: “Oh they’ve got pain, well prescribe an analgesic” you’re not going to deal with the whole problem. MS: You’d said earlier, if the problem is that the alternative to palliative care, is not necessarily assisted dying, is not a better alternative, that the system we have at the moment, that what’s available, is better. If it could be proved that someone was suffering, that someone that they saw, that the option of palliative care, was not the one they wanted, was not the one best for them, and the safeguards were in place, would you have the same objections? IF: Well, can we just look for a moment at why people kill themselves. Suicide, and you’ve got a high suicide rate here – Suicide is a response to people who are in overwhelming distress. Now the question is: do you change the law to say: “Oh, for some people we’ll assist their suicide, but for others we’ll try to carry on preventing suicide and improve those figures.” And where do you put the line? You have to be clear when you change the law what the message is that you are giving, and then giving to society. IF: “Well, you can’t predict, with any accuracy, how long someone has to live. All we know is that it’s guess-work. And the further away from death the bigger the margin of error that can extend into months or years. When I was on the select committee looking at this, that’s what we were told by the College of General Practitioners. And I’ve seen that in my own practice. And I just tell you that to point out that it doesn’t matter how careful you are, how meticulous you are, you cannot predict how long somebody’s going to live. And we’re all going to die, but the question is what do we do with the time remaining? And the role of healthcare and services is to enhance quality of life during the time that’s left and if somebody feels that they need something more [than what you’re] doing then the role is a duty of care, not a duty to end their life. MS: Your approach to this is, does this come from a medical point of view, given your experience in that area? Or is it a personal, philosophical or religious belief? IF: Religion has got nothing to do with it at all. That’s irrelevant. I’ve looked after thousands of dying patients. Personally, I’ve had my own experience as well in that my mother was really desperate to end her life when she was diagnosed with advanced breast cancer. She was actually quite angry with me for opposing the legislation at the time. And she was in a hospice at the time and thought to die within weeks, or even days. And the hospice medical director said to me: “How are you gonna cope when your Mum dies?” Actually, because she couldn’t have assisted suicide, and because she had the care that she needed, her pain became under control, she got going again and she lived for 4 years, independently, at home. We’d go out shopping and she said that they were the four richest years of her life but she never thought that she would have them. And we all value that. MS: And that personal experience, it must have been… I can’t imagine what it would be like in terms of dealing with your own mother, and being on opposite sides of this discussion. IF: It was heartbreaking. It was literally heartbreaking. And I had a real conflict in myself as to, “Am I doing the right thing?” But later on my Mum went on to make a radio programme for Radio Wales, explaining why she was glad that she was still alive. IF: OK, but if you’re going to change the law, you have to say: “Is it safer for the whole population?” Now let’s look at what’s happened abroad. The numbers have gone up incrementally because it’s become normalised. They haven’t got the palliative care services that we have in those countries that are developed. I know palliative care has got better across the world. If you take Holland, one in twenty-six of all deaths in Holland are by physician assisted suicide or euthanasia. Usually euthanasia. Now if you look at even Oregon where they only have physician assisted suicide that would result in about 120 deaths a year in New Zealand. The Dutch, that would result in about 1,200 deaths a year. That’s a lot. You change the norms in society. You begin to put pressure on people to think, “Oh, perhaps I should end my life. Perhaps I have a duty to die. Perhaps I really should opt for this.” And you end up with people cutting their lives short by months or years when they could have had good quality of life ahead of them. MS: Hey listen, have you ever thought about your own circumstances? Whether, you know, if something happened to you and suddenly you found yourself in an incurable condition that was extremely painful, or whatever, or do you have such faith in the palliative care that it would never be an issue? IF: I accept that there may be things that could happen to me, that for which palliative care couldn’t deal and actually they probably would not be related to terminal illness. I mean, if you look at the terrible victims from that fire we’ve had in London – horrendous burns, awful, awful scarring. What happens to those people? Managing them is really difficult. It’s going to take a long time to get their lives back into some kind of order. I know that anything could happened to me, but I also know that to change the law would remove protection from people who are vulnerable. You’ve got elder abuse, coercion going on, pressures on people. Not all families are loving families, I’m afraid. It’s a social issue. It’s not a medical issue. MS: Baroness Ilora Finlay, I appreciate your time. Now you’re doing… You’ve got a public panel discussion at Parliament on Wednesday. Correct? MS: And then you’re gonna be at the Horse and Trap, in Auckland, on Thursday. IF: That’s right. You know more about my schedule than I do! MS: We’ve got you organised. I appreciate your time. I mean, it’s a very heated and spirited debate, I think, in this country. I’m just a great believer the more you hear on both sides the better it is going to be. So look, I really, really appreciate your time. IF: I really appreciate talking to you, Mark, and thank you for having me on. It’s been a pleasure. MS: All right. Thank you. Thank you so much. Register here if you would like to attend the event at the Horse and Trap on Thursday.